Adding a Chandelier to a place adds the same beauty which a necklace adds to a women. 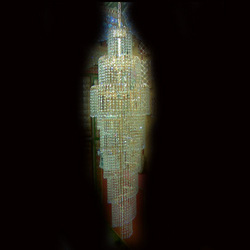 At Supreme Lamp Shade Co. we design and craft extraordinary chandeliers for extraordinary people. 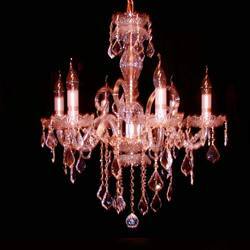 Our company’s having wide collection of Chandeliers and has become first preference of our esteemed clients. Our professionals have checked the quality of the products at different stages in order to fulfill the desires of esteemed clients. These chandeliers are designed beautifully with a view to maintain the standard of our company in competitive markets and we have got broad applicability in every sort of lighting system. Our products are easily available in the market area at industry leading prices. Beautiful spiral design, ideal for Hotels And Duplex Houses. A size smaller than SLSC CC 1001, its a great choice for various restaurants and business houses, can also be used as a corner chandelier. 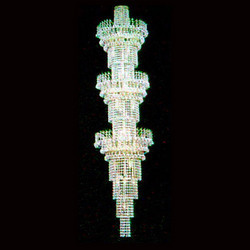 Three layered spiral chandelier made from combination of small and big lead crystal trimmings. From our extensive range of crystal chandeliers, we offer high quality spiral chandelier which is known for its durability, beautiful design and elegant looks. 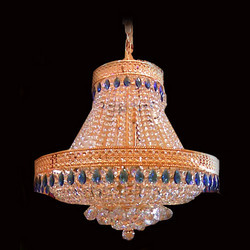 Our offered chandelier is used to give a regal feel to the ambience. This range is fabricated using contemporary designs, equipment and the premium quality crystals. Our clients can avail this in different shapes, designs and sizes with customized concepts as per their requirements and demands at the most reasonable prices. 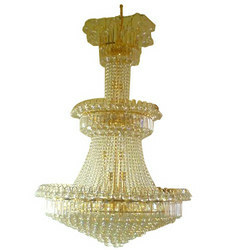 We offer Royal Style Crystal Chandelier that can add charm and elegance and put a regal feel to the look of the roof. The range is designed and developed using innovative design technology and premium quality materials that results in a durable and exclusive range. 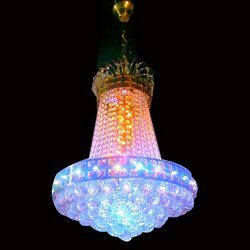 This chandelier offered by us are studded with small and big crystals that add charm and elegance to the overall ambiance of the hall, hotels, banquet hall etc. Fabricated using superior quality material, these are available in innumerable designs in exclusive patterns. We can also provide customization as per the specifications detailed by client. 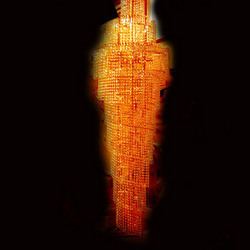 This is one of the latest design developed by our company. 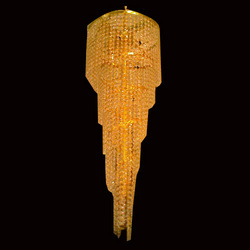 One of the hot selling designs, it combines the tastes of buyers looking for contemporary and elegant crystal chandeliers.